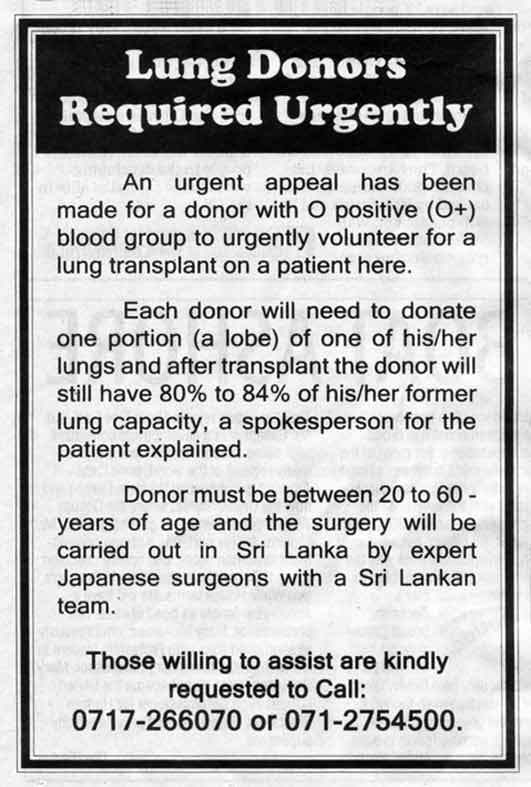 Among the advertisements for trillingually dated diaries, watches and circuit breakers in the Sri Lankan Daily Mirror today, there was an urgent appeal for lung donors. Japanese ‘expert’ surgeons would leave the donor with 80% to 84% of their former lung capacity. After contracting the plague from disease-ridden passengers on the flight at the beginning of the week, I could have done with a couple of new lungs myself. I shall go home today to pass said pulmonary problems to Mrs M. She will be pleased.